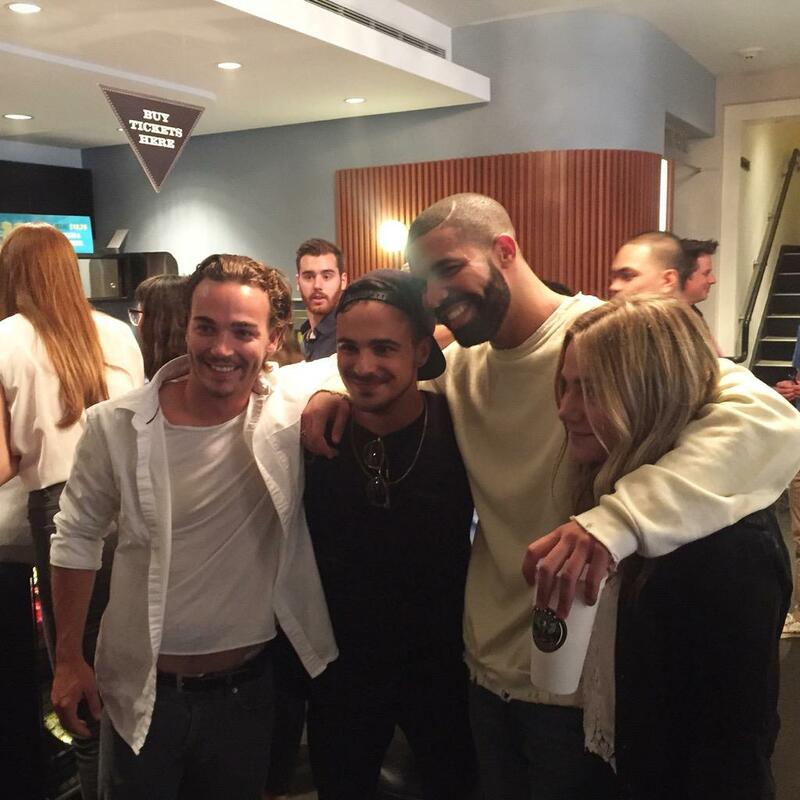 Another Degrassi Reunion: Daniel Clark, Drake & More! What was shaping up to be a quiet Wednesday night turned into yet another impromptu Degrassi reunion! Quite a few former Degrassians were in attendance at the screening of the web series, “We Are Disorderly.” Daniel Clark, Adamo Ruggiero, Jake Goldsbie, Lauren Collins and Drake were all spotted at the premiere event. The web series stars Jonathan Malen, Al Mukadam (Mohammed in season 2 of Degrassi) and Mazin Elsadig (Damian Hayes, seasons 6-7). Former Degrassi alum Paula Brancati is Producer for the series, and there’s also a bunch of others in the crew who’ve worked on Degrassi at one point or another (Samir Rehem, Ella Schwarzman, Mark Pancer, Nick Wong). Recent Degrassi alum Cristine Prosperi also makes an appearance in the first episode. You can watch all six episodes of the series here.